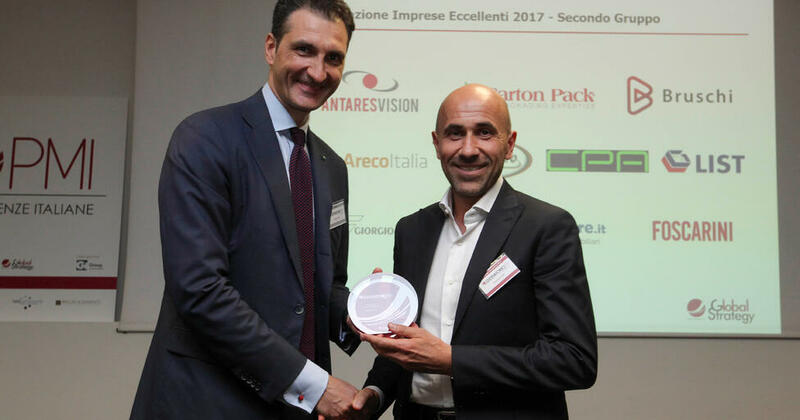 Last week Bruschi was awarded as Excellent Company 2017 at Palazzo Mezzanotte, Milan’s Stock Exchange. 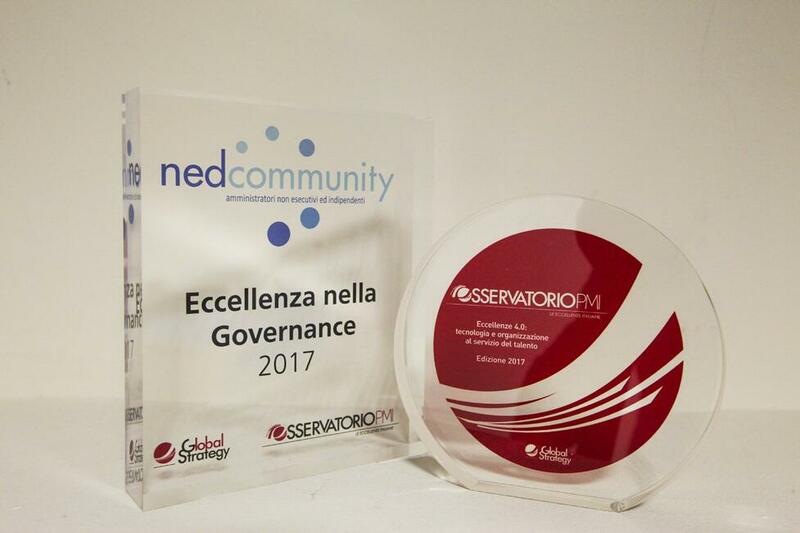 This recognition, organized and created by Global strategy- Observatory SME, introduces Bruschi in the scenario of businesses able to reach concrete results in the past by watching the future with confidence and innovation. The Observatory SME, based on the ownership model through which Global Strategy select companies autonomously, analyses financial statements and data of more than 40.000 Italian companies of manufacturing and services. They focus their attention on 7500 businesses which have a production value between 20 and 250 million euros. From this range of reference there is a selection of companies which, in the last five years, have go beyond the sector average of 10 strict economic, financial and patrimonial parameters. In ten years of work, this database has selected more than 2000 excellent companies, it has established more than 250 direct contacts between entrepreneurs and properties on distinctive factors. On 2016 Global Strategy identified 522 Excellent companies out of 7500 SME total, it means 7% of companies in question. It is an important success for our company added to technical recognitions awarded the previous years, such as NADCA and IZA. Paolo Rastelli, Bruschi’s CEO, stated: “ This award is for us the confirmation of our capacity of doing business and the approval that in the last years our company build a system able to lay the foundations for the future. It is a very important award for us as an industrial reality, a further confirmation that Bruschi is an excellence not only regarding technology and innovation but also in its globality as financial statements can show. A great success which reinforce our philosophy of growing and spread our managerial capacity. This award summarize the work of all our collaborators which, in the last years, helped us to reach these results. A moment of confirmation, as a piece of the mosaic in our strategy of balanced growth, which leads us to look at the future with the awareness of our capacities and values. A new impetus needed to improve and think about next years with further certainties, with the possibility to reach sustainable results”. Subscribe to Bruschi Die Casting Blog and stay updated on the industry news and innovations.